The United Kingdom is full of gorgeous places of natural beauty, buildings steeped in history and other exciting hidden gems. There is so much to see and explore that it is hard to know where to choose for a holiday, but the Lake District in the north west of England features all of these, as it is home to incredible scenery from the largest lake to the tallest mountain in England, as well as places of historic interest and lots of wonderful little places tucked away down narrow streets or buried within dense forestry. Having a holiday in the Lake District is the perfect way to relax in stunning surroundings with your friends, loved ones and family, while soaking up the culture of the district and letting the serenity of Lakeland seep beneath your skin. This beautiful part of Cumbria is packed full of things to see and do, but you can choose as little or as many of these things for those who want an action-packed holiday and those who wish for a slower-paced, relaxing break away. The gorgeous scenery and lakes is the main draw to the Lake District, with the largest, Lake Windermere, a must-see. Whether you choose to get a boat across the lake to see it from all angles or whether you wish to just take a picnic and sit by the banks, you will enjoy the peaceful bliss of Lake Windermere and the awe-inspiring views. There are also plenty of other lakes that should be seen, such as Buttermere which is a lot less visited and touristy and features some great footpaths and walks, and Derwent Water in Keswick which is surrounded by soaring hills. The tallest mountain in England, Scafell Pike, is located in the Lake District and should definitely be climbed for those who enjoy a good walk, hike or trek. Giving incredible panoramic views of the surrounding hills, woodland and villages, the climb is definitely worth it if you are up for a challenge! Take a look at self-catering accommodation near Scafell Pike for a good quality place to stay during your holiday. Other than the beautiful scenery of the Lake District, the area also has a lot to offer in terms of history and culture, and blending the natural side of the district with the cultural is a perfect way to have a balanced holiday in the Lake District. There are lots of museums and theatres to visit such as Hill Top in Ambleside, a farmhouse which was once owned by children’s author and illustrator Beatrix Potter. Writer of the Peter Rabbit books, Hill Top is where many of her classic tales are set, and the home has been wonderfully preserved, making a great visit for fans of these books. Another place to visit to make your holiday in the Lake District special is the Grasmere Gingerbread Shop in Grasmere. Established in 1854 by Sarah Nelson, this little shop selling incredible homemade gingerbread is the only place in the world where these delicious treats can be purchased. The unique gingerbread is a mixture between a cake and a biscuit and is an authentic Cumbrian delicacy that has stood the test of time and should definitely be tried! Bringing back some of the gingerbread for family and friends at home makes a great gift. A fun attraction in the Lake District to visit that is great for children and adults alike is The Puzzling Place in Keswick. This fantastic exhibition blends fun together with education and features lots of great puzzles to solve! The quality of accommodation makes a big difference to the enjoyment of your holiday. One of the best forms of holiday accommodation, especially for families or large groups is a holiday cottage that can be rented by the week or weekend. Mid week breaks are also available and tend to work out slightly better value. A holiday cottage provides plenty of space and allows holidaymakers to cook for themselves, have their own supplies of drinks and prepare their own packed lunches for walks thereby reducing costs. Many will have a garden and the ever important drying room to dry out wet walking gear. Take a look at some good quality holiday cottages in the Lake District by clicking on the cottage image above. 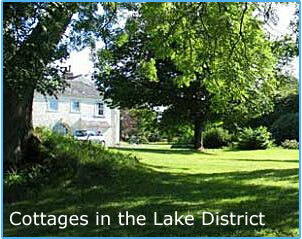 There is a whole variety of self-catering accommodation to rent for holidays in the Lake District. This can be anything from a one bedroom apartment or chalet for couples, holiday cottages, log cabins and farmhouses for families and even mansions and castles as large group accommodation in the Lake District. The only determining factor is your budget. The facilities provided at each accommodation also vary. There will be a selection of cottages with hot tubs, with use of a swimming pool or access to a spa for a relaxing spa break in the Lake District. ©holiday-cottages-lake-district.co.uk 2019 - All rights reserved. 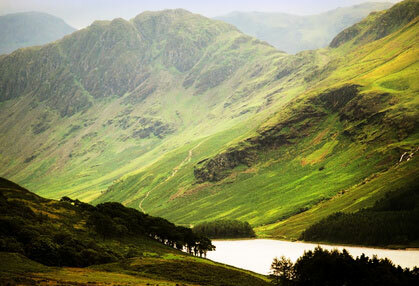 holiday-cottages-lake-district.co.uk is trading names of XE Website Solutions Ltd.